2.0m Stainless Steel temperature probe with remote readout. Comes with Calibration certificate. Also available in 1.4m and bespoke sizes. Cable extensions can be supplied. Probes and Digital read outs available individually. 1.5M Agreto Temperature Probe, 810-080 In/Out cable probe available to order. 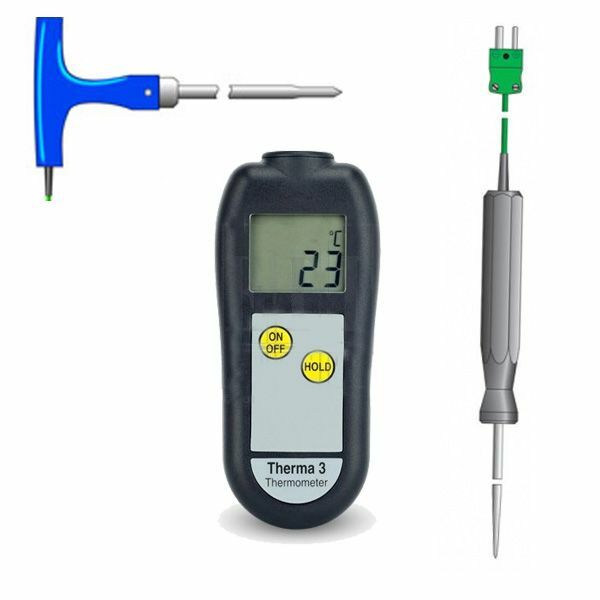 130mm long high accuracy stainless steel temperature probe with cable and connector- suitable for soil temperature as well as a variety of other purposes. 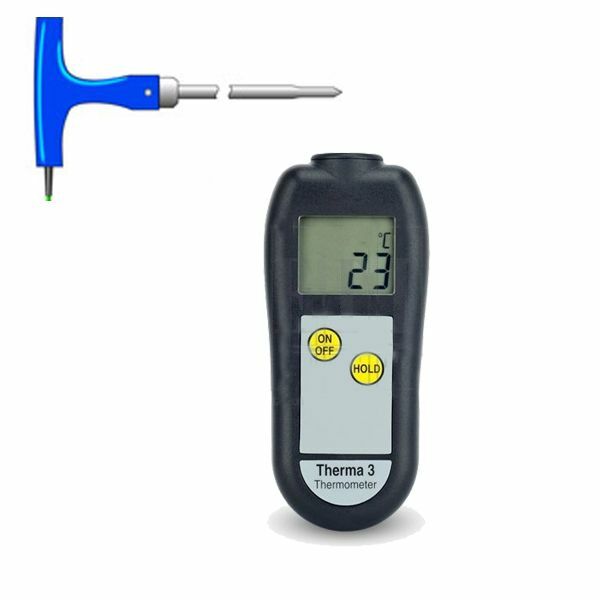 The probe connects into the same temperature readout as the 2m Grain temperature probe allowing it to be used as a handy pocket sized digital thermometer. What is the advantage of the ETI over other models?